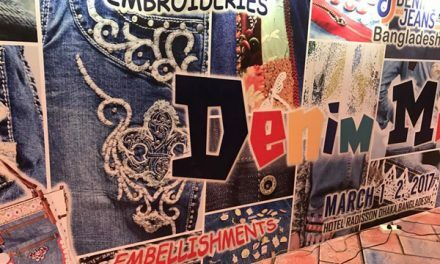 Dhaka, Bangladesh (BBN) – The 3rd Denimsandjeans.com Bangladesh Show will begin in the capital Dhaka on Sunday morning, organisers said. The two-day show will be held at Hotel Radisson Blu in Dhaka on March 1-2 eyeing for both local and international denim customers, as Bangladesh is a major source for denim and jeans. A total of 26 companies from 7 countries – Bangladesh, India, Pakistan, Germany, Turkey, Brazil, and China – – will participate at the event. The show shall bring some of the most important denim personalities worldwide and help in further focus on the denim industry in Bangladesh, they added. Bangladesh is the world’s second largest producer of denim apparel after China, shipping more than 185 million pieces of denim wears across the globe and earning around US$ 1.50 billion per year from denim and jeans exports. Currently, there are 25 denim fabric manufacturers in Bangladesh, who meet about 40 per cent of the domestic demand and the remaining 60 per cent is imported from different countries including China, India and Pakistan. 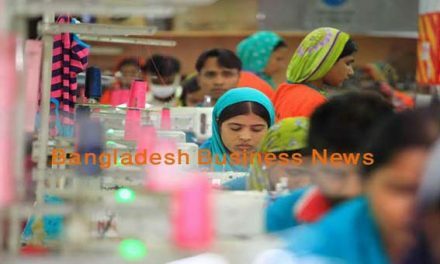 Bangladeshi entrepreneurs supply denim to major retailers and brands, including H&M, Uniqlo, Levis, Nike, Tesco, Wrangler, s.Oliver, Hugo Boss, Puma, Primark, JC Penney, C&A, Tommy Hilfiger, Inditex, Walmart, M&S, Calvin Klein, Diesel, Gap, Channel and Dior and G-Star.